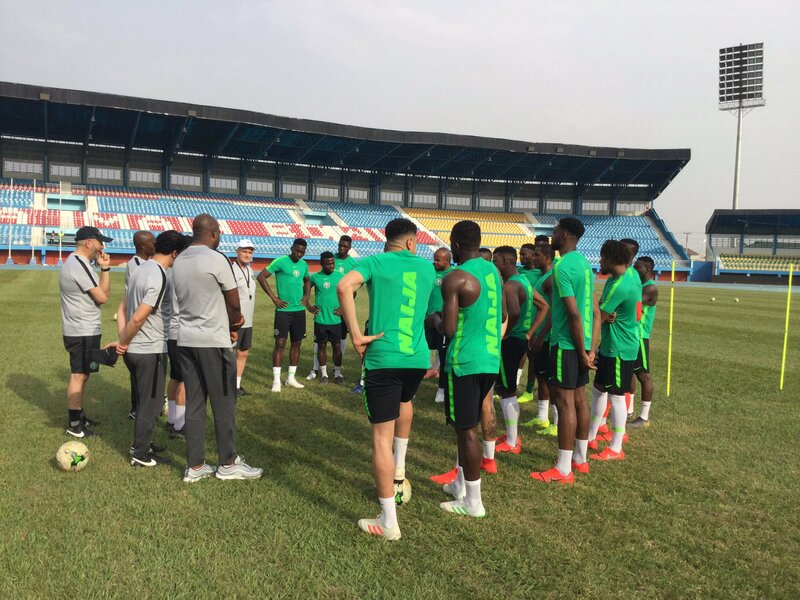 Confidence is high in the camp of the Super Eagles as the Pirates of Seychelles, who are already eliminated, tackle the three-time African champions at the Stephen Keshi Stadium, Asaba in what kicks off a true football feast in the Delta State capital on Friday. Tomorrow’s session is in fulfillment of the final day fixtures of the 2019 Africa Cup of Nations qualifying series. Group leaders Nigeria made sure of a slot at African football’s biggest house party far back in November 2018 after a 1-1 draw with South Africa in Johannesburg, but there is word in the camp that the Nigerian stars are looking to rack up a high-score win for bragging rights. Libya’s Mediterranean Knights, who are involved in the other match of the group against South Africa in Tunisia, incinerated the Pirates 8-1 right in Mahé Island in one of the group matches. That remains the highest-score win of the entire qualifying series. On Friday, Technical Adviser Gernot Rohr will unleash his best legs, as a high –score win would put the Eagles in a good and great mood for Tuesday’s prestige international friendly against seven-time African champions Egypt at the same venue. CAF has named Cape Verde official Fabricio Duarte as the referee for tomorrow’s match. His compatriot, Jose Carlos Alexandre Pina Mendes is the assistant referee 1, with Delgade Fernandes Wilson Jorge as assistant referee 2 and Delgado Rocha Lenine as fourth official. The match commissioner is Martin Gomez from Gambia, while Togolese Latre-Kavi Edzona Lawson Hogban will be referee assessor. The encounter is scheduled for 4pm Nigerian time.